"I think they should outlaw fruit," the seven year old I nanny told me yesterday. I'm not sure who "they" includes, but evidently they are some force that makes up the laws about what is healthy for young children to eat. I really enjoy nannying, it is a refreshingly slower pace than my four years of college. Not to mention, my job requirements include spending all day playing games: Wii Bowling, Barbies, The Game of Life, Tag. You name it, I've probably played it. However, sliced apples have become the bane of my existence. Okay, I'll admit that only a nanny (or a desperate parent) would confess their nemesis was chopped fruit. I realize I have happily traded in the stress of research papers and tests for the life of getting a 7 year old to eat her apple slices. Allow me to explain: Part of my job is to make sure she eats her fruit serving at lunch. She knows that eating her fruit is healthy for her. She knows that it will make her stronger. These facts about the benefit of eating her apples is not fully convincing. Instead, she takes her sweet time to finish the five slices of apple on her plate. Sometimes to get her to eat them, I even have to remove all distractions to make sure she eats the fruit. It never fails to amaze me how God can use anything as a teachable moment. This summer, a very loud lesson came in the form of apple slices - because sometimes faith is a lot like a 7 year old's battle with the apple slices. I know that following Jesus is healthy for me. I know that following Jesus will make me (spiritually) stronger. Yet how many times do I take my pretty sweet time in listening and even more so following through with what He calls me to? 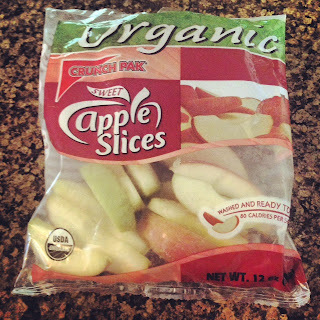 Yes, God taught me a faith lesson in apple slices. Just like the little girl and her fruit, sometimes He even has to take away all of life's distractions so that the only thing I can focus on is living out my specific calling. Jesus continually invites me to be a part of sharing His story and showing His love to a broken world in desperate need of a Savior, even when I am reluctant to take a bite of spiritual fruit. Perhaps its time to stop hesitating and truly taste God's goodness. Whatever situation God is calling you to trust and follow Him, my prayer is that you would stop stalling or making up excuses to truly enjoy the goodness of the Lord.